Cold Craft works on temperature related equipment such as residential furnaces or commercial refrigeration, controls for refrigerationnd for temperature control. The technicians at Cold Craft have specialized training in high efficiency equipment installation and repair as well as training on specialty items like geothermal installations or wine cellar repair or maintenance. Our focus is on your temperature comfort and our tempologists are ready to do just that and our equipment can satisfy your temperature control issues. Cold Craft has Values, Vision and Purpose documents that we created with input from the employees, share with the employees ans we work by these values. So the employees not only helped formulate them but believe in them. Sharing best practices and safety information during the weekly meetings is one of the secrets to our success. This is where we improve quality. For topics of the Safety Meetings click here. In addition to the Safety Meetings once a week we also have technical training on items such as known issues with servicing specific furnaces, installation techniques with specific brands and models, ice machine information, etc. Truck inspections are often conducted at these meetings by pulling a technician's name randomly so our trucks need to pass our stocking and appearance standards. All techs participate in the inspections to see if there are things that they can model their vehicle after - in terms of storage of items on the truck, safety items or organization of paperwork. Tech Challenges are fun ways for our techs to show their knowledge. Our techs are Nate Certified so they need to stay sharp by challenging each other. The President of the company, Kent Penning is partly responsible for the atmosphere of learning from his experience teaching heating/air conditioning and refrigeration at San Jose City College. The other members of the team conduct the learning sessions to make the material as pertinent as possible. We pride ourselves in being proactive in the installation and service aspects of furnace/air conditioning installation that matter. These include safety, technical excellence, doing it right the first time and customer experience. 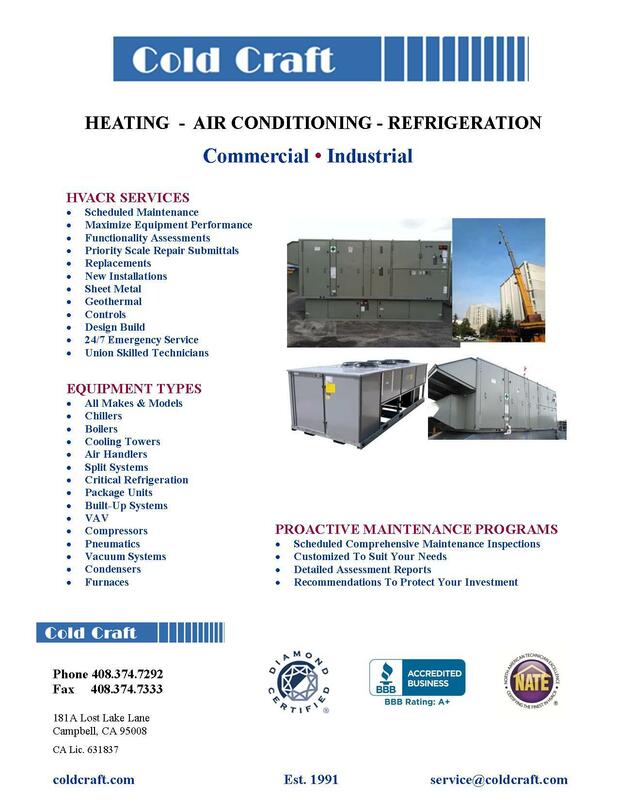 Contact us for any heating or air conditioning/refrigeration needs you have. Provided by Enerbank USA (1245 E. Brickyard Rd., Suite 640, Salt Lake City, UT 84106) on approved credit, for a limited time. Repayment terms vary from 18-126 months. 17.22% fixed APR subject to change. Interest Waived if repaid in 180 days.